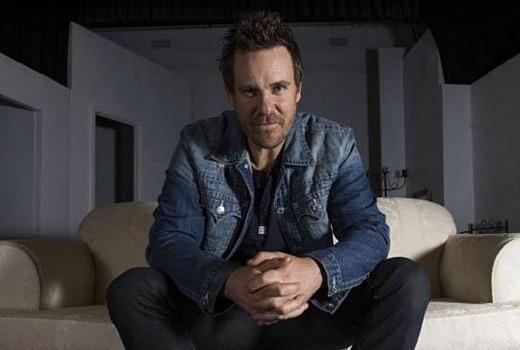 Aaron Jeffery (Wentworth, McLeod’s Daughters) will return to the Underbelly franchise for the lead role of Mark “Chopper” Read in Nine’s miniseries, Underbelly: Chopper. Jeffery has previously featured in both Underbelly: Badness and Underbelly Files: The Man Who Got Away. He will be joined by Michael Caton as Chopper’s father, Keith. The drama will be produced by Screentime, directed by Peter Andrikidis and written by Justin Monjo. But it will be a tough call to coax audiences to forget Eric Bana’s performance in Andrew Domink’s 2000 Chopper feature -it put him on the international stage. Read died 13 years later, leaving new material open for dramatising. “Underbelly redefined Australian drama when it first exploded onto our screens in 2008,” Nine’s co-heads of drama Andy Ryan and Jo Rooney said in a statement. Production starts in Melbourne in July with the miniseries due later this year. I thought we were over the Underbelly series? Blimey, whilst the Chopper movie was indeed outstanding and possibly more than the glamorization a criminal deserves, I’d watch it for Aaron Jeffery alone. He was fantastic in Wentworth.